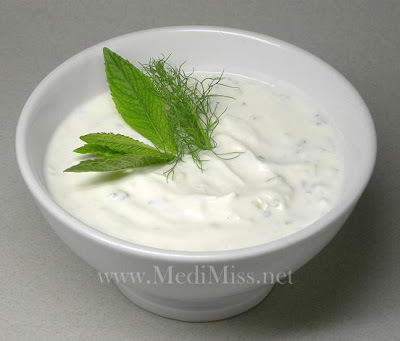 This is because Yogurt contains a large number of lactic acid bacteria. When we eat an empty stomach, lactic acid bacteria are easy to die in a large number while being in the stomach with higher acidity, thus losing part of the health effects. After we eat large quantities of food, the acidity of stomach decreases, so the lactic acid bacteria can play a better role..! Be sure to eat yogurt after a meal or if you have little to do with a full stomach..! Although the hydrochloric acid (not lactic acid) in the stomach would be weaker with food, wouldn't the prolonged duration in the stomach due to digestion be equally as bad if not worse?